These two names should ring a bell, especially if you're a regular reader of Knives Illustrated: Karen Hood and her late husband, survival expert Ron Hood. 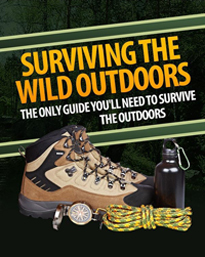 Karen and Ron created over 30 top-notch videos on outdoor survival that are still considered the gold standard for outdoors training in the survival field. If you haven't checked them out, you might want to join the three million other folks worldwide who have already picked up copies. 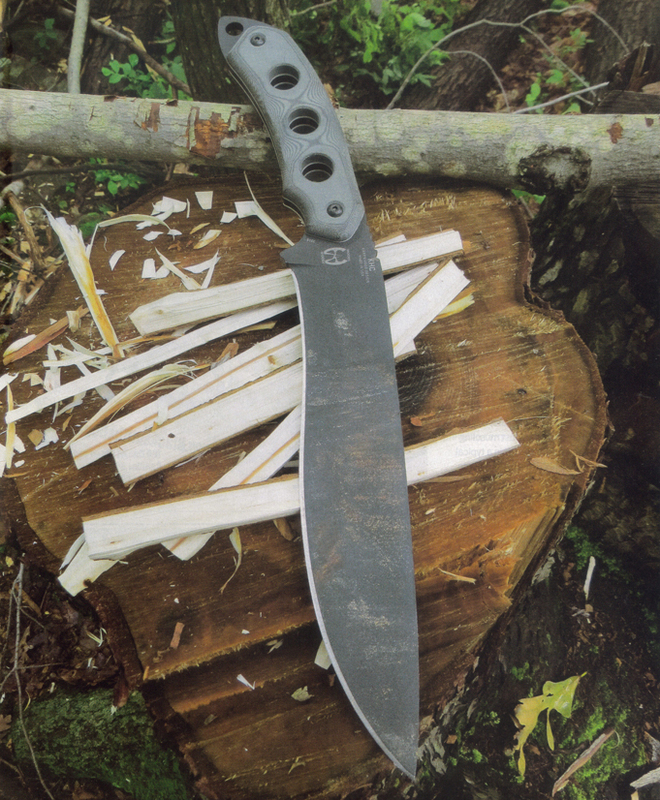 "The Karen Hood Chopper from Columbia River Knife and Tool is designed to be easy to carry, but still provide the capabilities you expect from a big camp blade." Karen is also the owner of Survival.com, and the publisher and editor-in-chief for Survival Quarterly Magazine, which has 16 issues behind it to date. Suffice it to say, she's quite experienced in the bushcraft and outdoor survival field, and she continues to carry on and honor Ron's legacy with her own work. Okay, let's get the technical stuff out of the way. 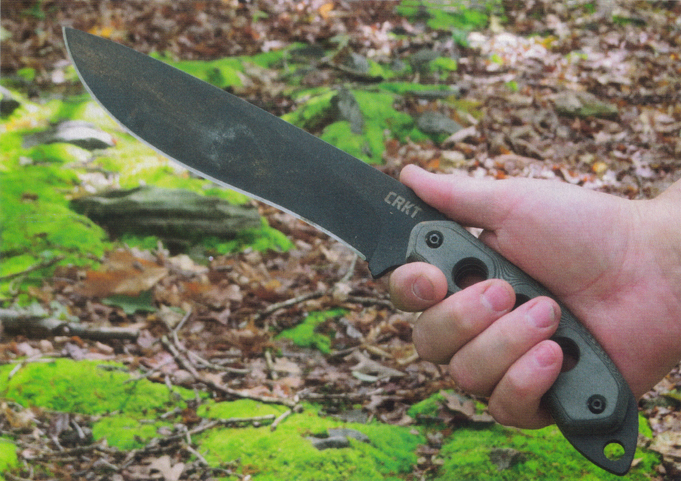 The KHC is a good-sized knife at just over 15 inches in overall length. 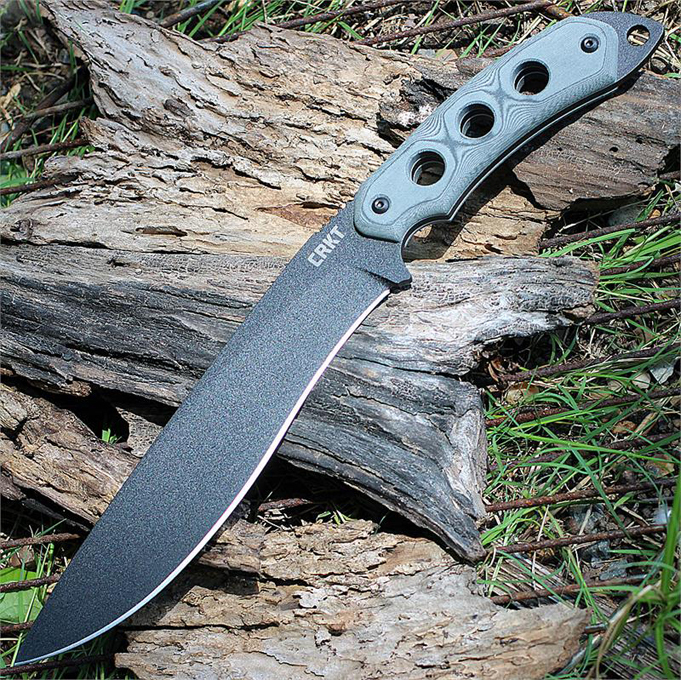 It sports a 9-inch drop point blade of 0.197- inch-thick, 1095 high-carbon steel, finished in a rugged black-powder-coated finish. The blade has a high, flat grind with a distal taper and comes with a very good factory edge, especially nicely designed for chopping. The handle is generously sized at about 5.5 inches long, and there's another half-inch of extended pommel past that, complete with a large lanyard hole. Grip scales are of a gray "resign-infused fiber," which I suspect most of us would just call Micarta. Maybe there's more to it though that I'm missing. Either way, it looks good and durable, especially in conjunction with the white liners that offset the scales from the black tang of the knife. The handle and tang are lightened with three large holes, and the scales are readily removable, if you'd like to shave off even more weight or add a paracord wrap instead. 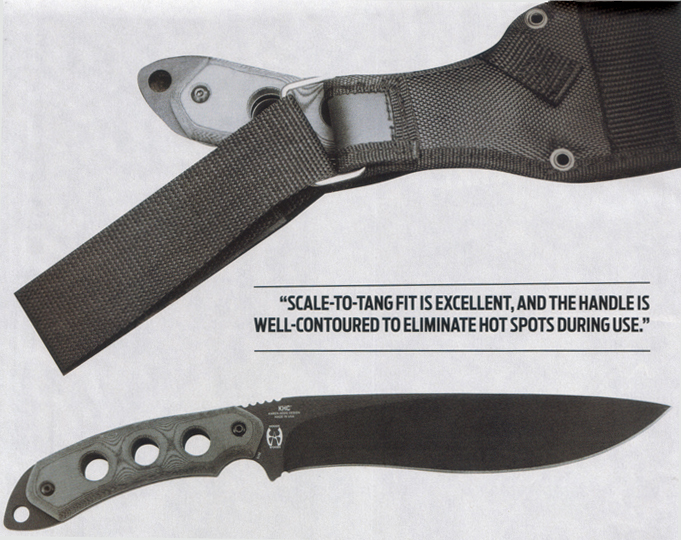 Scale-to-tang fit is excellent, and the handle is well-contoured to eliminate hot spots during use. A forward finger groove and set of jimping at the base of the blade give you index points for finer work, such as carving and notching. ABOVE TOP : The belt loop on the KHC sheath converts from a standard loop to a drop leg dangler style. 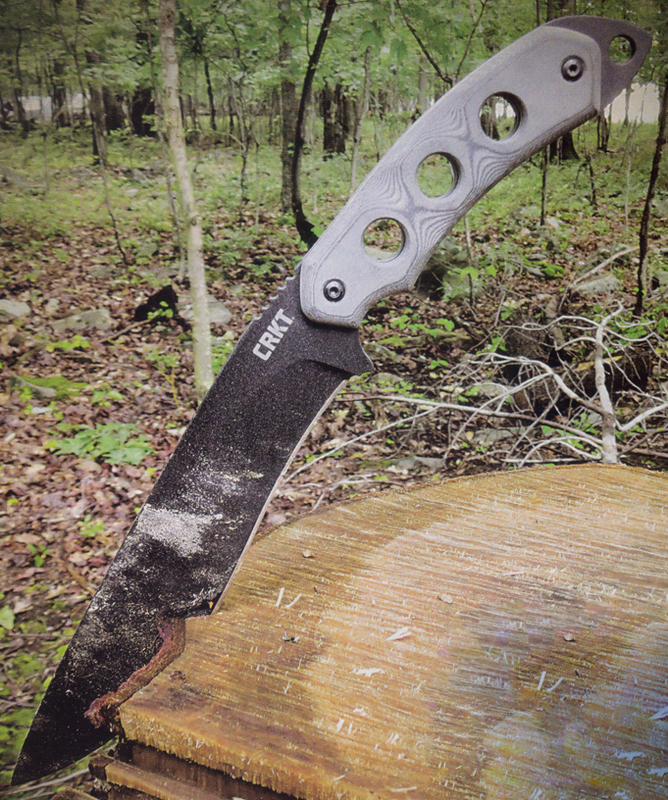 ABOVE BOTTOM : The KHC features a recurve blade with a 12-degree drop from handle to tip to enhance cutting performance. The blade sits at a 12-degree downward offset from the handle to allow for enhanced chopping power. 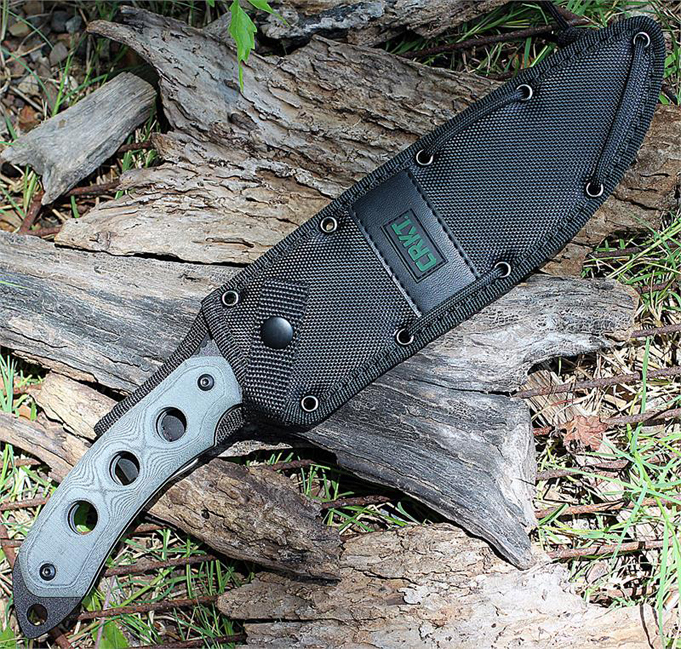 Its weight is 15.5 ounces, with the sheath adding about another 4 ounces. Speaking of which, the sheath is a black ballistic nylon affair with a snapped strap to keep the KHC in place. 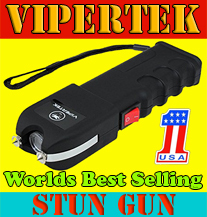 It uses a series of lashing holes and comes complete with a length of paracord for lashing or other field use. The belt loop is convertible from a standard loop configuration to a dangler set up, depending on which way you prefer to carry your blade. ABOVE : A large finger choil helps index the blade in your hand and it helps when using the recurved section just forward of the integral finger guard for fine work. When I first pulled the KHC out of the box, I was surprised by its weight. I hadn't looked at the specs at that point, and it was lighter than I expected for its size. That's not a bad thing to me. As I get older, I tend to appreciate weight-savings in gear. I don't necessarily find mass essential to do a good job in an otherwise well-designed chopper. The knife felt comfortable in my hand, and there was plenty of room on the handle, even if I wore work or winter gloves. My hand naturally fell into the finger choil, and my thumb dropped down onto the jimping. Some handles I may fidget with to get the right feel, but this one guided my hand to where it should be. 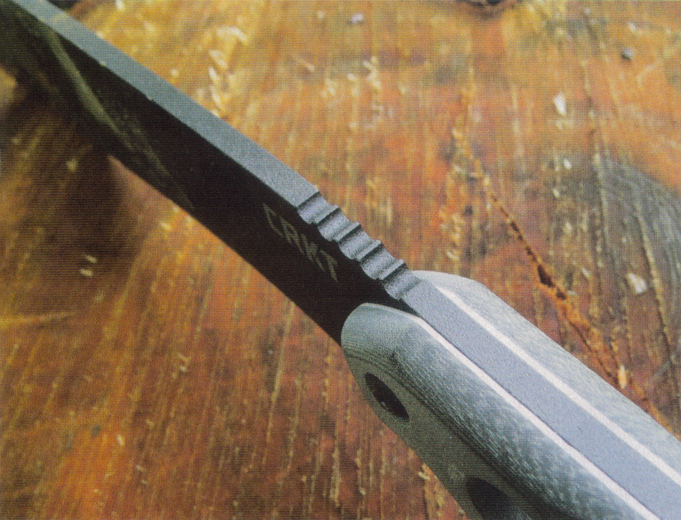 ABOVE : The KHC's handle has a set of white liners that offset the gray scales from the black tang of the knife. Thumb jimping at the base of the spine helps enhance control of the blade as well. Although the blade angle and belly of the blade lent itself to a forward chopping motion, I found the KHC to sit a bit handle-heavy, which seemingly assisted in natural snap-cutting motions. In fact, the balance point on the KHC is rotten logs, and sticking the point into more solid logs and twisting it free, I'm confident it'll stand up to anything short of outright abuse. I was impressed with a couple of things during my months of field use. First was the finish. I'm not necessarily a fan of black finishes, or finishes in general, on my knives, but I have to say that the powder coating on the KHC held up extremely well. I dirtied it up, but it was nothing that a little scrubbing at home didn't clean right up.As damp as the summer was, it kept rust off of the blade too, as long as I took care of the uncoated edge. ABOVE : The Karen Hood Chopper has a slightly handle-heavy feel and balances just forward of the handle. The KHC's edge was also impressive. I've chipped or rolled blades in the past doing the same things I did with the KHC, but not only did its edge hold up fine, the edge retention was also excellent I have to say that even though I wasn't very excited by the sheath, it worked fine. The nylon may well have been a better choice than leather with as damp as the season has been. Nylon would expedite the drying process after getting wet. I mainly carried the KHC in my pack, but I did try it in both standard and belt loop configurations. I have a slight preference for the dangler set up, but the nice thing about the convertible loop is you can set it up however works best for you. After working with the Columbia River Knife and Tool's Karen Hood Chopper over the summer, I can say that it's a well-thought out and well-executed field knife. If you're looking at a big blade for camp work, but want to balance that with one that is easy to pack and easy to use, then I'd suggest you give the KHC a close look. And you might want to take a look at some of Karen and Ron's excellent DVDs for some ideas on what to do with your KHC. ABOVE : Batoning was no problem for the Karen Hood Chopper. It went through this wrist-thick, aged wood with ease. 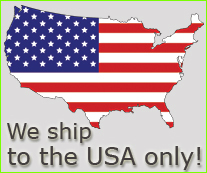 The KHC is made in the USA. 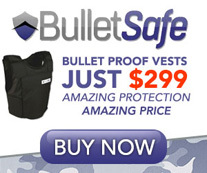 The knife carries an MSRP of $375. 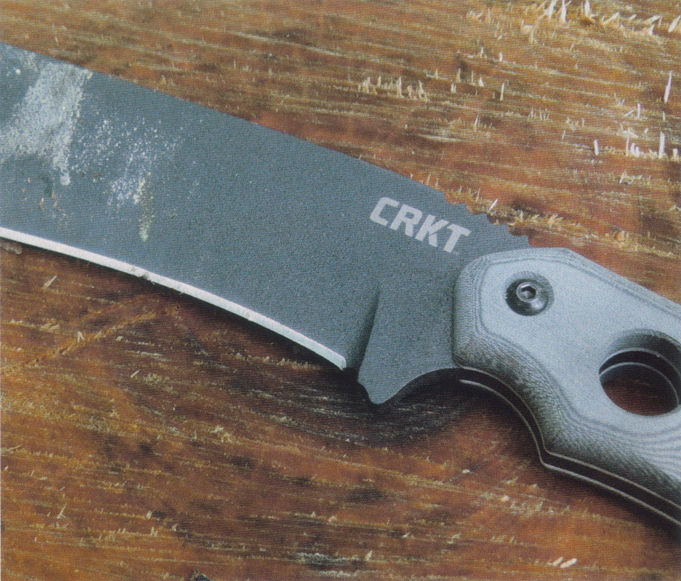 You can buy the CRKT KHC right here at the lowest price online.